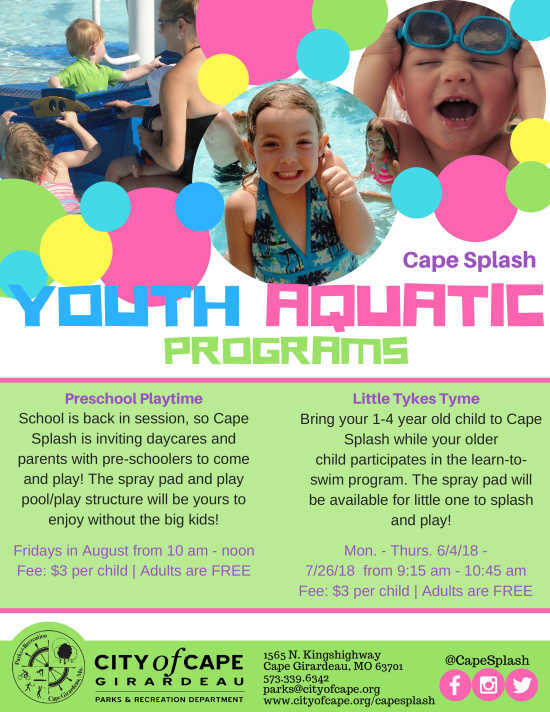 Bring your toddlers to Cape Splash for Little Tykes Time to enjoy the spray pad before the park opens for public hours! Mon. - Thurs. 6/4/18 - 7/26/18 from 9:15 a.m. - 10:45 a.m.
1565 N. Kingshighway, Cape Girardeau, Mo.